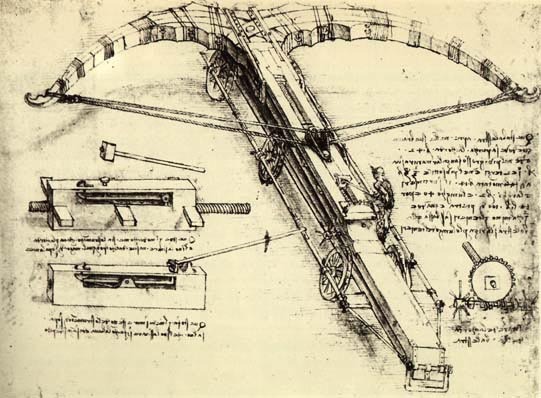 Crossbows are currently used by many military units for line throwing (crossing rivers, etc.) and even grapple hook line throwing (mine clearing operations). We discussed the possibilities of regular bows and slingshots in previous articles. 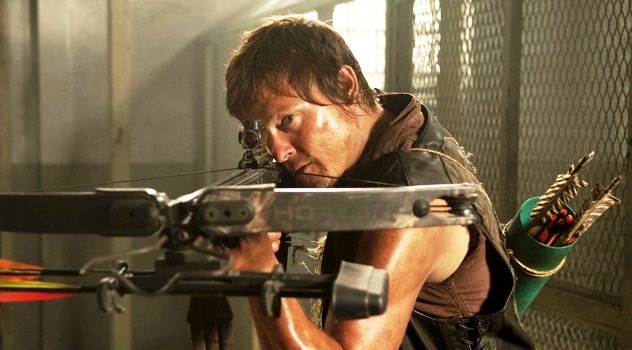 So would a crossbow be a viable survival weapon to add to your kit? Lets look at the pros and cons. Like a regular bow, a crossbow will allow to hunt silently. Hunting with a firearm in the country will let everyone for miles around to know you are there. Sometimes silence is golden. In certain situation, you could use the crossbow as a silent defensive weapon. Crossbows are easier to learn to shoot accurately than a regular bow. It is fitted with a rifle type stock, something gun owners are used to. In addition, the bow itself holds the arrow or bolt, and the let off is always consistent with the same draw strength each time. Ammunition is recoverable. You can reuse arrows or bolts that you kill game with and can often recover misses. In addition, you can learn to make suitable arrows from natural resources in the field. Magazine capacity. Meaning you can only load and shoot one arrow or bolt at a time. This would place the crossbow user at a serious disadvantage if facing multiple attackers at close range. Crossbows are also large and bulky. They are hard to conceal. Their size and weight would be an issue if you were surviving on foot. Maximum effective range is about 25-50 yards, depending on projectile and skill of archer. It is generally slower to reload and fire than a traditional bow and certainly much slower than a firearm. One of the objections to crossbows for survival is that they are bulky. This has been partially solved by takedown crossbows like the Avalanche Takedown Crossbow. You can shoot a variety of arrows and bolts from a crossbow. In that regards, it is very versatile. Practice and experience will determine what projectiles are right for your situation. Is a crossbow right for your survival arsenal? That’s a decision only you can make. It has advantages and disadvantages. I recommend you find someone who has one, or an archery range that rents them, and try it out. And as always, do your research. Let me start by saying I think this is great. Awesome find and write up.!! I really recommend other to read this article .Keep up the good work . The crossbow as an offensive weapon is bad enough with it’s reload time but in a defensive mode it’s a disaster. What other weapon FORCES you to go “eyes off” a threat for typically 20-30 seconds whilst you play around reloading? And that’s just you pulling back on the string. Add cable loaders or a crows foot and you’ll be lucky to loose off 2 bolts in 3 minutes. As for your eyes off time whilst doing that? ROTFL. No way, and it makes a VERY distinctive noise when discharging. Now put a crossbow in your hands and try to run through your home. Clout any doorways during your travels? Approach a window with curtains and try to sneak a bolt through a gap. Try to shoot from behind cover. At least half the bow is in full view? A crossbow is at best a one shot ambush weapon. If it wasn’t, how come crossbow hunters never get the chance for a second shot? In combat it’s close range limitations and lack of penetration through something as petty as webbing are a concern. It doesn’t make a pressure cavity when it enters, fragment, or bounce round within a torso. In terms of ballistic shock, It doesn’t! If you are a singleton in ambush mode, you’d be better off throwing the bow at your target once the first bolt has left the ramp. All good points that I agree with. A regular bow, in my opinion, would be much preferable. Although it makes a distinctive sound, out in the country it would be much quieter than a .308 or 12Ga. Even military units that use it as a “specialty” weapon still have lots of lads with bullet launchers handy. I’ve used to wonder about that as a lot of SF still use them round the globe. Except in what role? Still the awkwardness does not lend itself to urban conflict at all. My one is a simple 150lb bow. Lightweight and easy to handle. Kept for close work (and bunnies). As said, to even walk round in a confined space is “difficult”. While tracking a moving target in a tight space may seem easy it’s like using a weapon with REALLY wide hips and it’s not so much being muzzle aware the whole time than the prods width being the problem. For John and Jane Doe fighting off the masses? Get a short bow! Our allies in the highlands of Vietnam used them quite affectively against our enemies; “aim small, miss small”; one shot, one kill! I heard about the skills of the Montagnard. French lads I knew used pistol variants at close range but they always went straight to steel if the bow missed or didn’t down the bad guy. I used a xbow to hunt but the skill was to get close, REAL close. Alas with age I have that skill no more but I still stand by my thought that in ambush it’s good, as per your one shot one kill. But as a defensive weapon, once fired, the reload time is too slow to mount an effective urban defence especially with fire with movement in mind. When I was in Vietnam, I did not have the opportunity to work with Montangnards. But they seem to be highly respected by the SF types I talked to that did. I did have the opportunity to examine some of the crossbows they used. The yards are small people, and the crossbows reminded me of children’s toys. But they were well made and I understand that they often put poison on the tips whether hunting animals or enemies. There are probably very few Yards left. The Vietnamese, both North and South hated them, considered them little more than animals, and exterminated them at every chance.They say the Yards were the first inhabitants and the Viets came and moved them on hundreds of years ago. That is why they lived up high in the mountain ranges. I did see a number of destroyed Yard villages up in I Corps. It’s a shame that genocide exists. Whole races get wiped out because of ignorance and political ideology. Still at least the Gurkha’s are alive and well and once accepted, those boys taught me all kinds of tricks to stay alive.